North East Regional Employers’ Organisation (NEREO) makes every effort to maintain the accuracy of the information on this website but cannot accept responsibility for any loss or damage which may occur from use of the information. Your use of any information or materials on this website is therefore at your own risk. NEREO does not provide quality control of external links and has no responsibility for the content of such linked sites. The inclusion of any third party's name within these pages should not be construed as a recommendation of that party's products and / or services. In order to submit your Online Application Form to the employing organisations for consideration, we need to transmit your personal details over the internet. We have put in place suitable physical, electronic and managerial processes to safeguard such information including using secure 128-bit Encryption technology (SSL). The personal data you provide on this form will only be used for the purpose of applying for a vacancy within the organisations which use this site provided by the North East Regional Employers Organisation, and for related recruitment purposes. It may also be used for statistical purposes and in particular our integrated equalities policy. The data will be stored on computer and/or manual files. In order to administer this North East Regional Employers Organisation may share your personal data with 6 Stages and their web hosting organisation. Application forms for unsuccessful candidates will be kept live for 12 months at the Recruitment Service of the employing organisations following an appointment to the job and then destroyed. Giving false information may, at the discretion of each employing organisation, result in your application not being pursued or your contract being terminated if you have already been appointed to the job. Your Personal details will not be disclosed to any other organisations without your consent, except where there is a statutory duty on NEREO to disclose or unless it is affiliated to NEREO. By submitting an Online Application Form you are confirming your consent to allow the employing organisations to record and process the information detailed in your application form. You are also confirming that the information contained within your application form is correct. 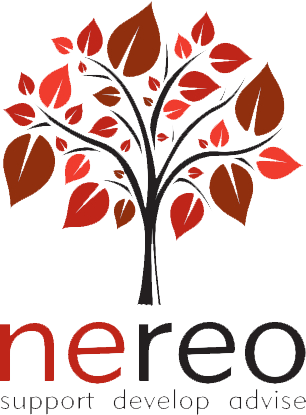 NEREO and the employing organisations which use this site are under a duty to protect the public funds it administers, and to this end may use the information you have provided on this form for the prevention and detection of fraud. It may also share this information with other bodies responsible for auditing or administering public funds for these purposes.